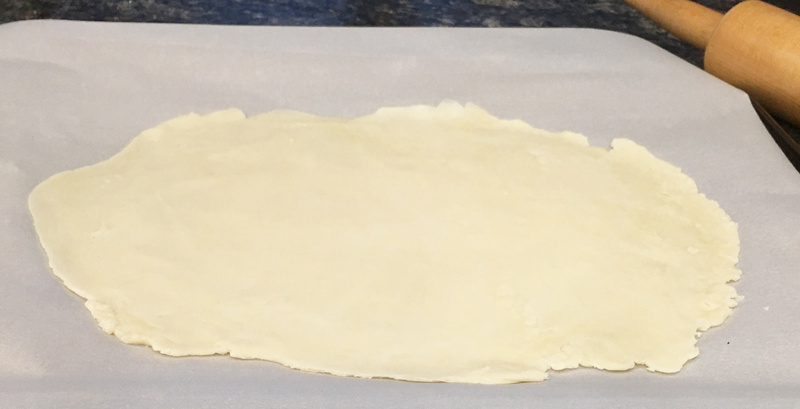 Since I’m also the least likely person to ever attempt my own pastry-making, I of course cheated and used a store-bought pie crust, which I balled up and rolled out into the rustic crust for the galette. For those of you more skilled in this department, feel free to make your favorite pie crust for this. Oh! And there is a surprise touch of brandy added to the applesauce base. Even better, there is no added sugar. Scrumptious! 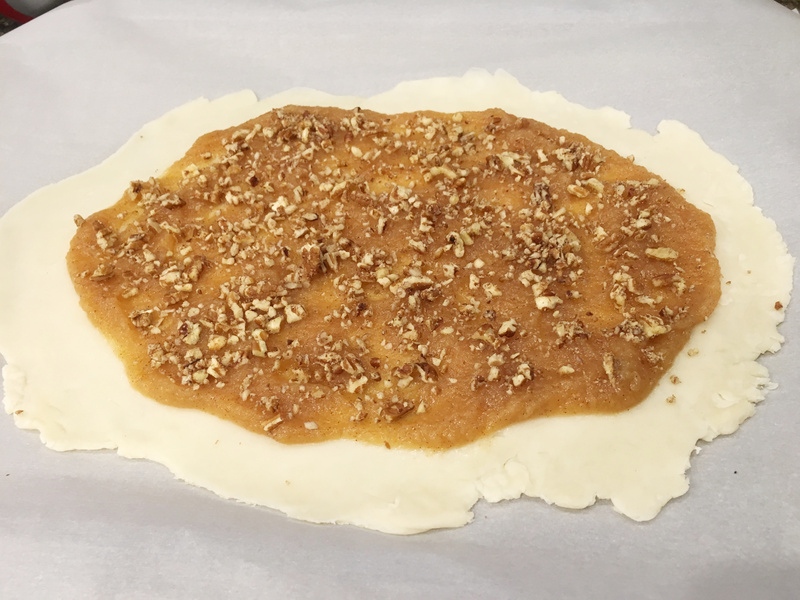 On parchment paper, roll out the pie crust in an oblong shape to the largest possible even thickness. Use a little flour if necessary. 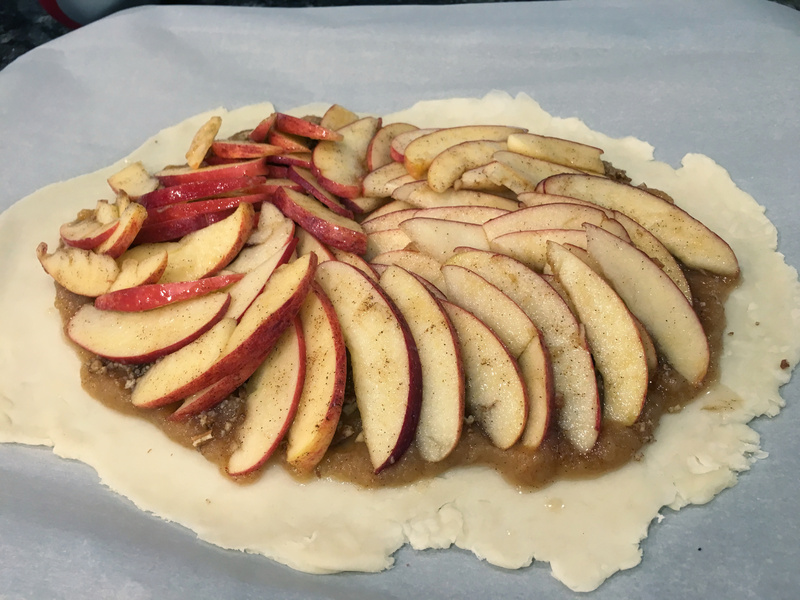 Place on baking sheet and chill while you make the filling. In a small saucepan, add the applesauce, lemon juice and zest, 1/4 teaspoon of the cinnamon, and brandy. Stir and bring to a simmer, the continue to simmer for about 20 minutes, stirring occasionally, until it’s reduced quite a bit. Meanwhile, preheat the oven to 400 degrees and prepare the rest of the filling. Core the apples, then slice thin. No need to peel! In a bowl, combine the the apple slices, honey, vanilla, and the other 1/4 teaspoon of cinnamon. Stir until evenly coated. Spread the applesauce mixture over the pie crust, leaving about an inch border. Sprinkle the chopped pecans over it. Starting from the middle, fan the apple slices in concentric circles. Fold the edges of the crust over, then brush the egg wash over the exposed pie crust. 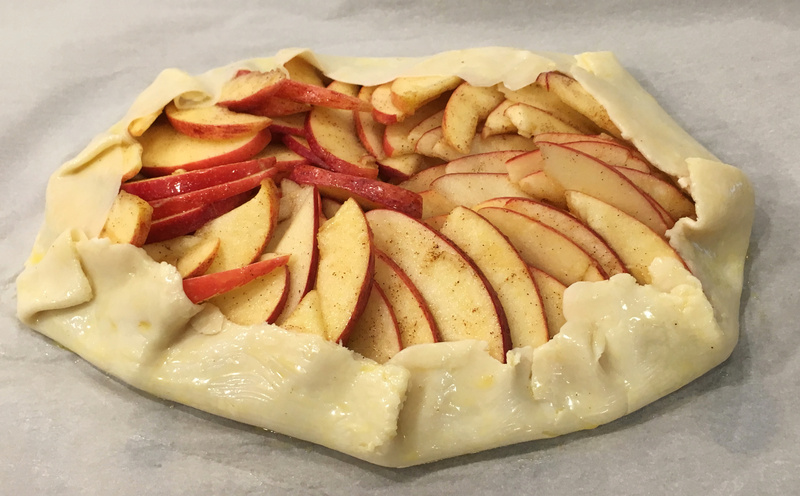 Bake for 30 minutes until apples are tender and crust is golden brown. Serve immediately, or at room temperature. I enjoyed it immensely with vanilla ice cream! Download and Print this Yummy Recipe! This looks great! It would be great to serve at a dinner with friends too. Is it as good as it looks? Yum yum oh yes it was, thanks! That looks delicious! Pastry is much easier than you think and you can just throw all the ingredients into a food processor to make it simple. And if I had a food processor… ha ha. I just have a small blender type one. But thank you! 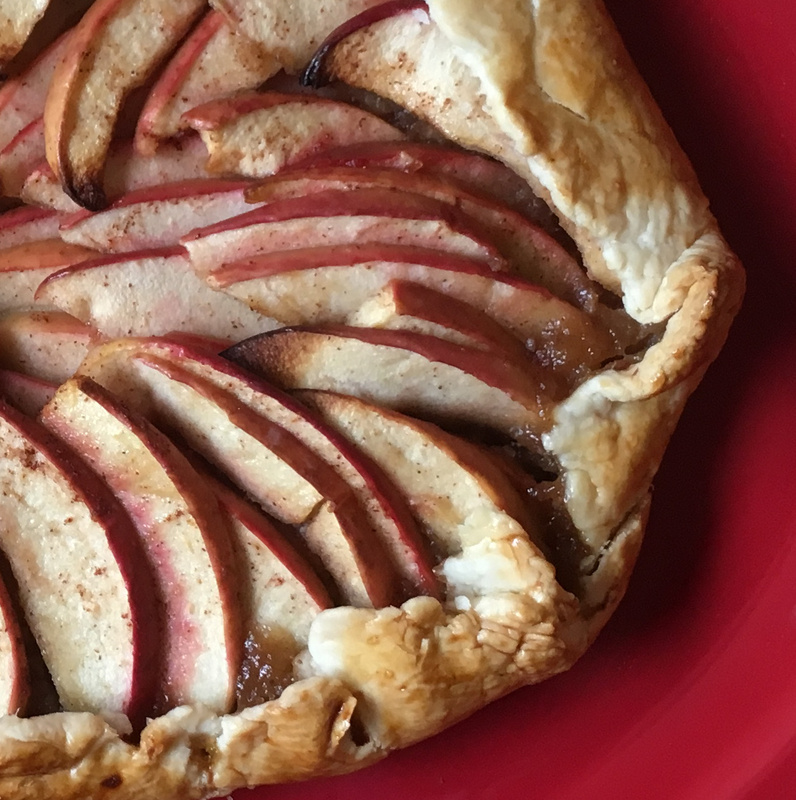 I have never made a galette before but love the use of applesauce (and brandy). 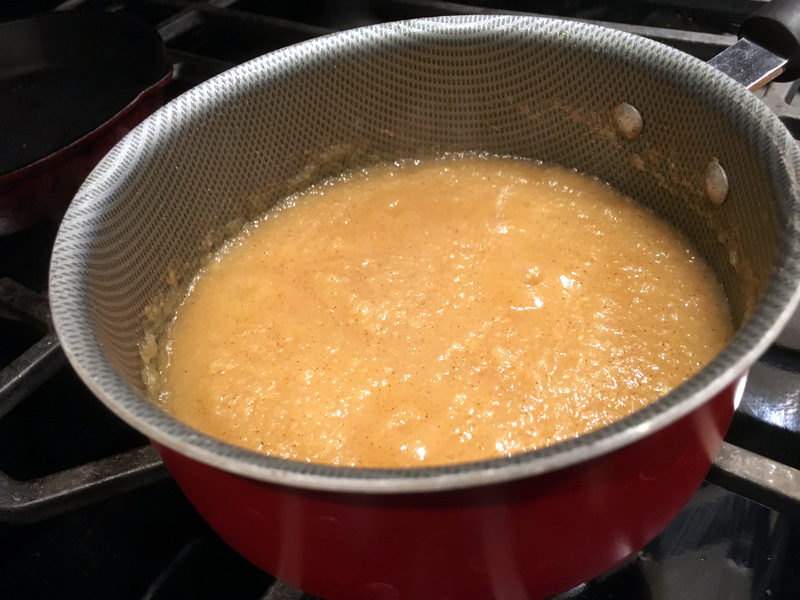 The only thing I can now is applesauce every Fall – I suppose I could use my unsweetened. You are so right apples are always good any time of the year. Looks like a winner Kathryn! This is made with sweetened applesauce, do you have both kinds? Thank you Judi, it’s so yummy! Because I cook my applesauce so long (Grandma’s recipe) the natural sugars in the applesauce are concentrated. Aren’t the honey crisp apples the best? I love galettes- always so pretty. 🙂 Yours looks wonderful! Saved this one, Kathryn! That looks wonderful and not too hard. Last week I cut up fruit, put it in a bread pan and baked it. It was plain old hot fruit. Ha ha. It was good, but this looks so much better! Mmm, roasted fruit. I bet it was really good! Thanks Diana! That pecan-applesauce layer does it!! I love galettes, but I usually overflow them. On a rimless pan, that makes a mess. And – more brandy, more better. The pecans and brandy just put it over the top! Thanks Darryl. I had mine on both parchment paper and a baking sheet, just in case. 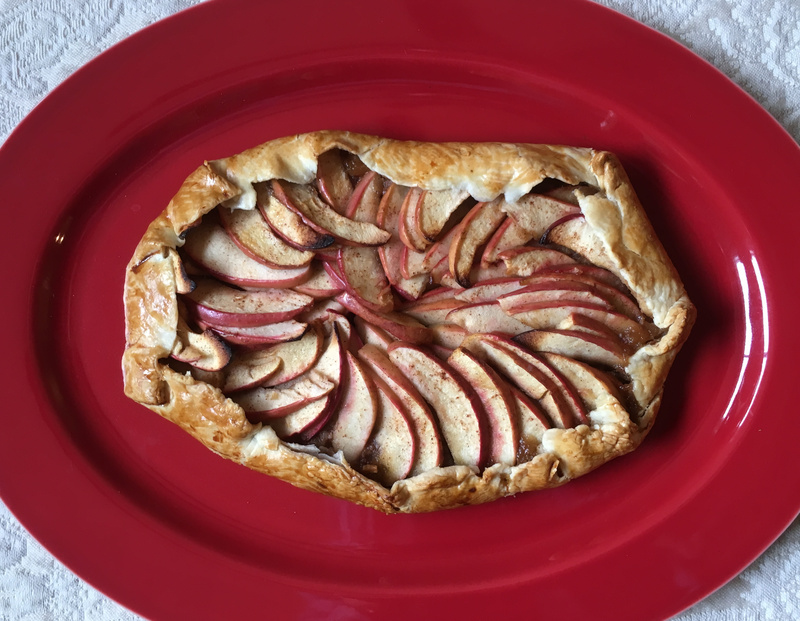 It looks wonderful – and I like how it’s relatively easy to make, and a nice change from the traditional pie recipe. Thanks so much Mark, it was! My mom sends me two pounds of Texas Pecans every Christmas, so I’m always looking to sneak them into food, ha! I really like the ingredients KR! It is so pretty but rustic as you stated. It must be yummy and pecans are so good! Whoa. Might have to try this one! Kathryn, this sounds delicious! Sorry I’m so late. It seems like only yesterday that I checked for a new post from you… My how time flies when you’re… doing whatever I’ve been doing. LOL. Who cares if you didn’t make the pastry from scratch! I don’t want to spend all night on something, so I welcome the shortcut. Delightful and delicious. Happy weekend hugs! Yes, it sure was, thank you! Hi I am Kathryn, otherwise known as KR Big Fish, or just KR for short. 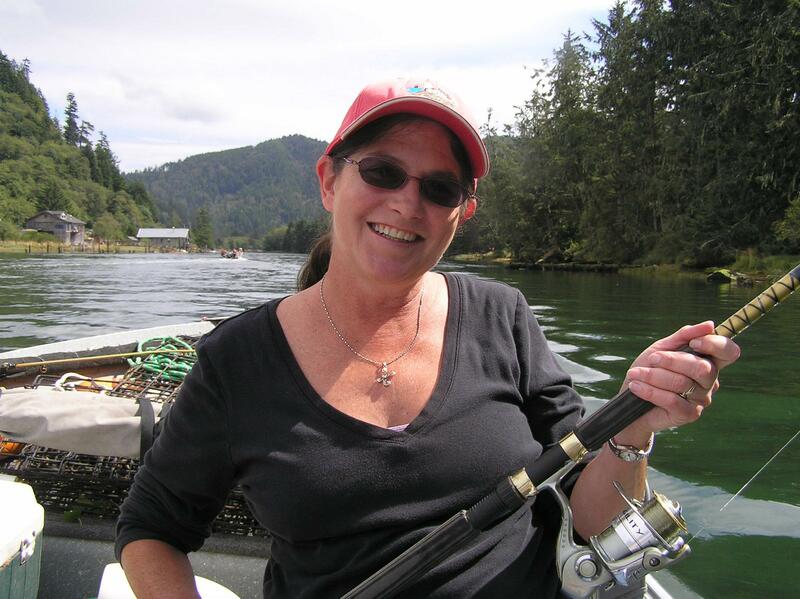 I am a transplanted Texan who has been living in the beautiful Pacific Northwest for over 20 years. Geeky software business analyst by day, foodie blogger by night and weekends, I have been sharing my culinary delights (and disasters) for over six years. Thanks for stopping by! Enter your email address to follow this blog and receive notifications of new posts by email. I solemnly promise not to share your email address with anyone! All images © 2011-2016 Kathryn Rocheleau, anotherfoodieblogger. You may use my images only if permission is asked and granted first, and you may be asked to include my name and blog link for reference, depending on the context. Oh. But if you want to share a link to my page on Pinterest, Facebook, Instagram, Snapchat, or whatever the heck is the new link sharing forum, share away! xoxo Thank you!